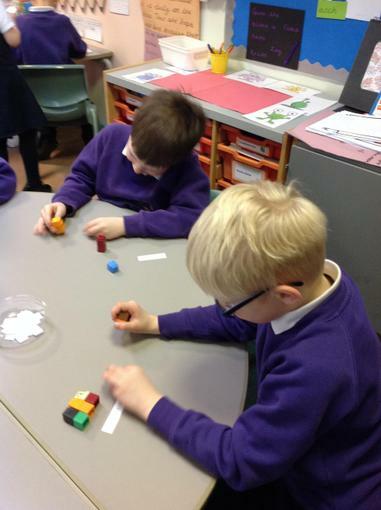 The children have been exploring different ways of dividing. 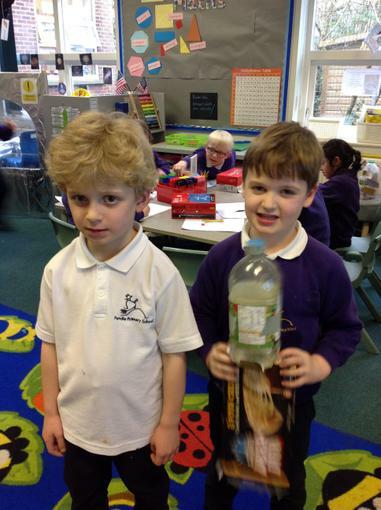 They have been sharing and grouping various items. 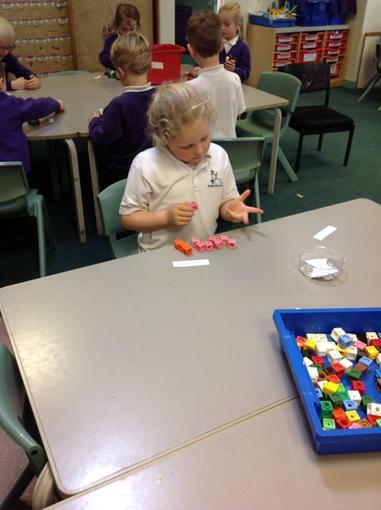 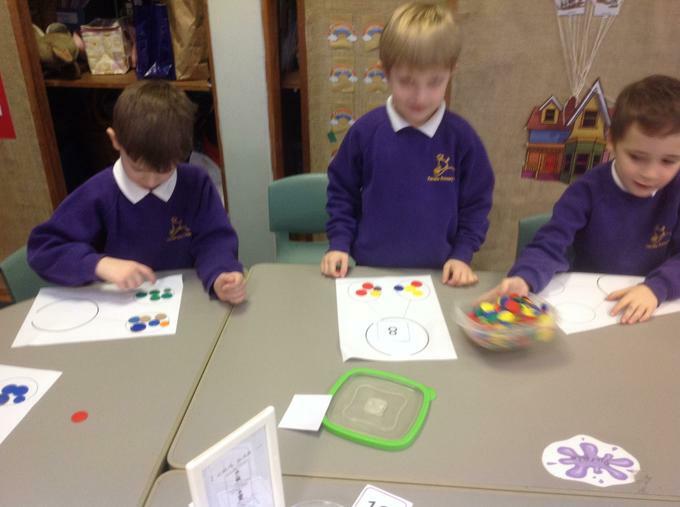 The children have been learning about multiplication. 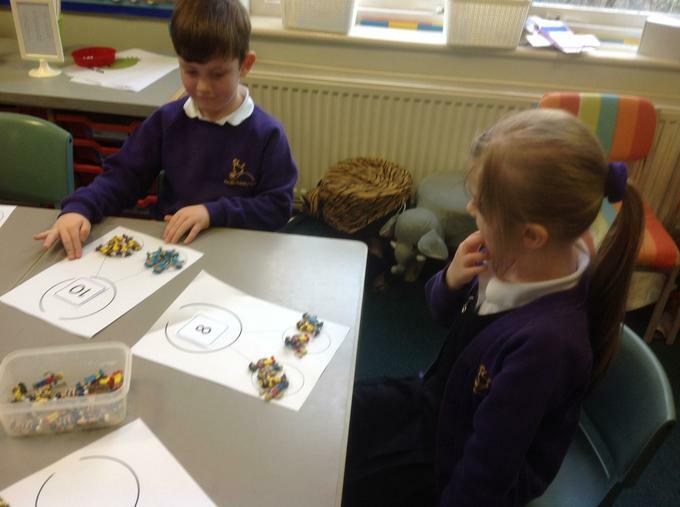 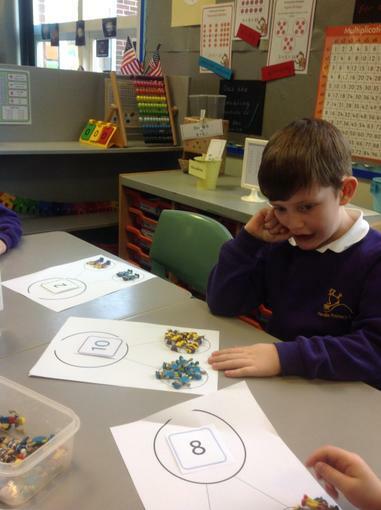 They have used repeated addition and arrays. 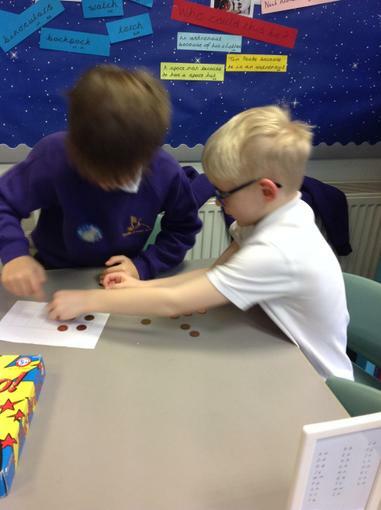 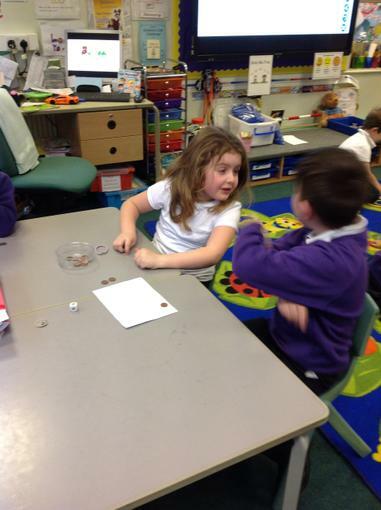 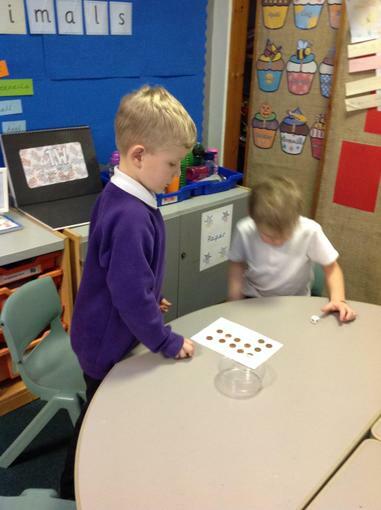 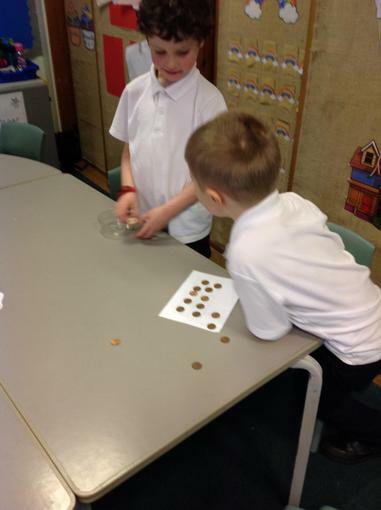 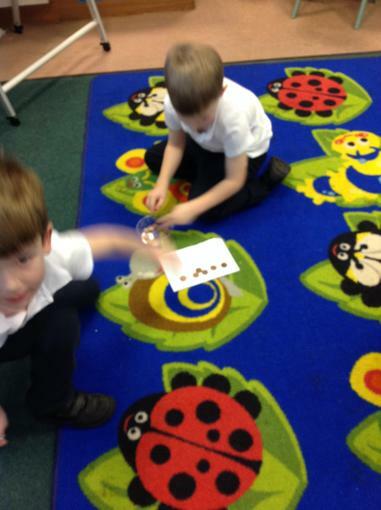 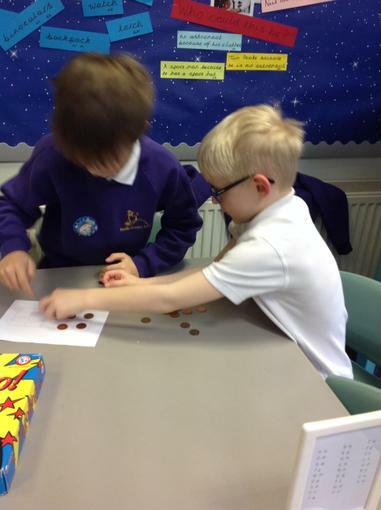 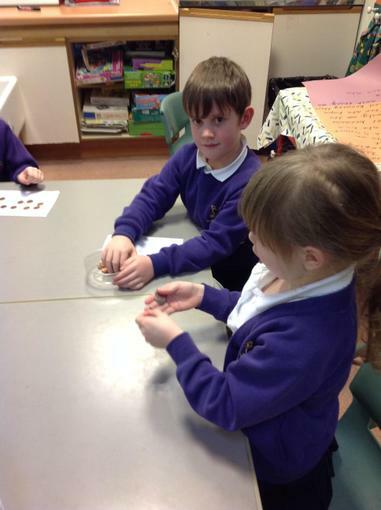 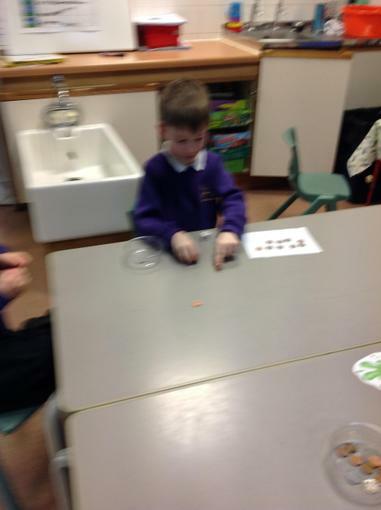 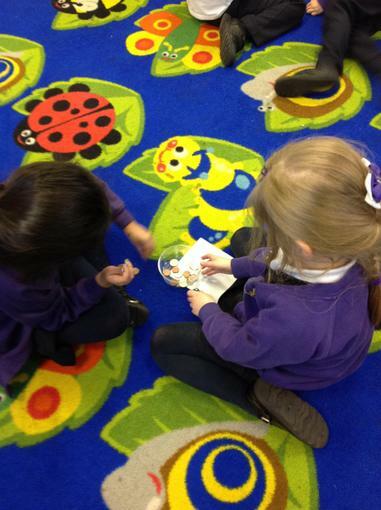 The children have been exploring money, exchanging (10) 1p coins for a 10p coin. 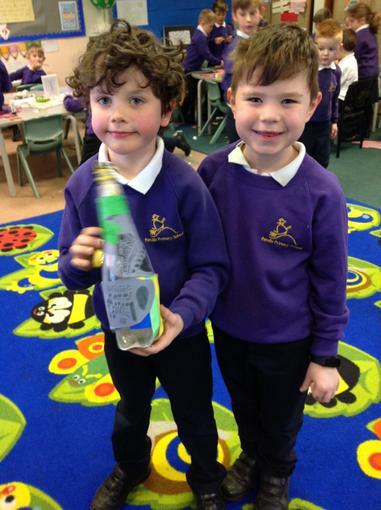 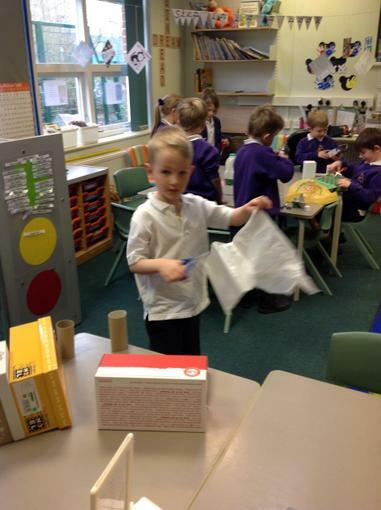 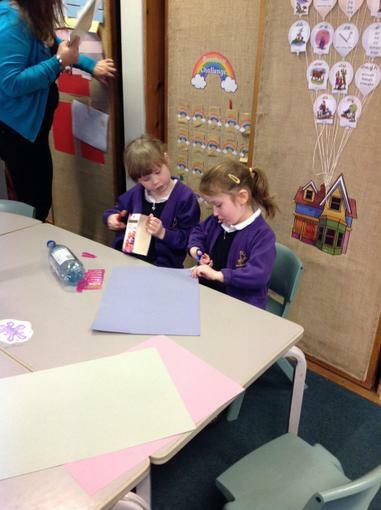 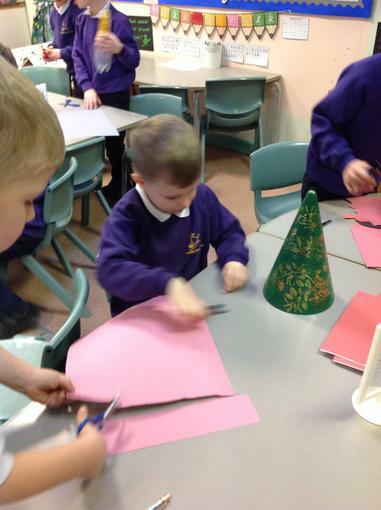 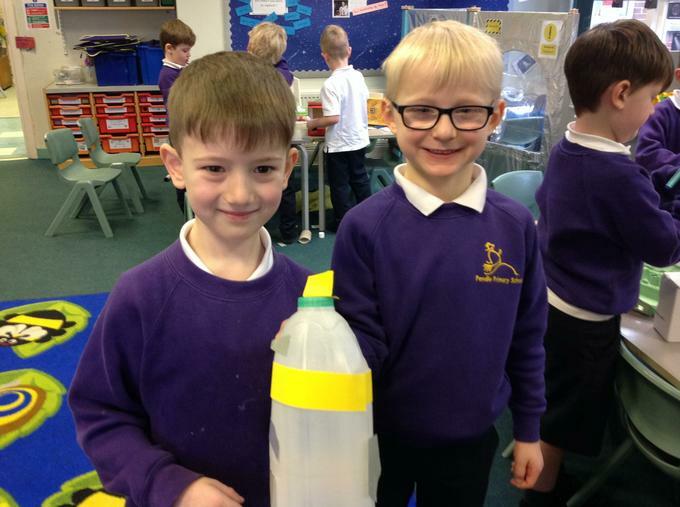 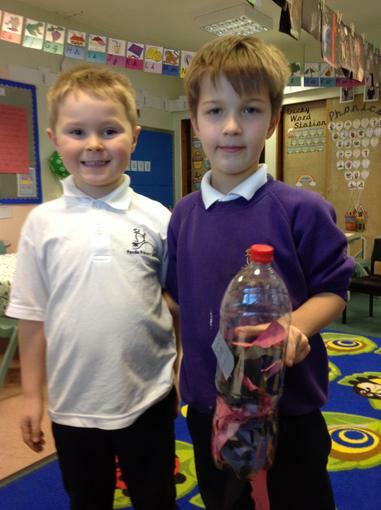 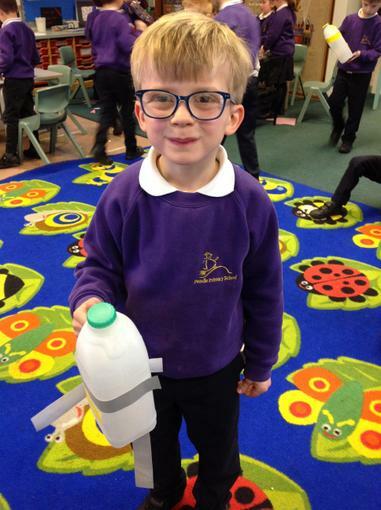 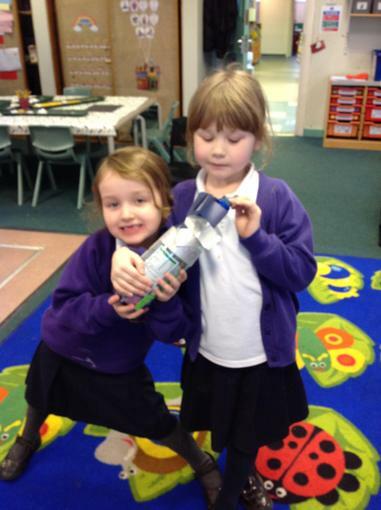 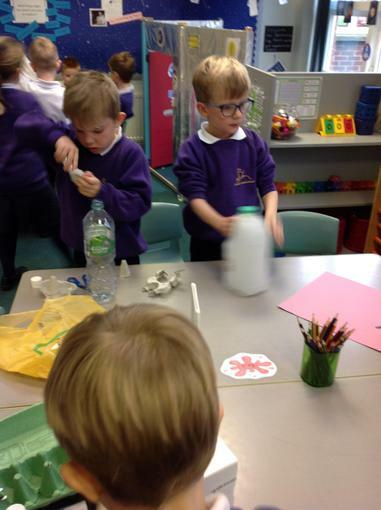 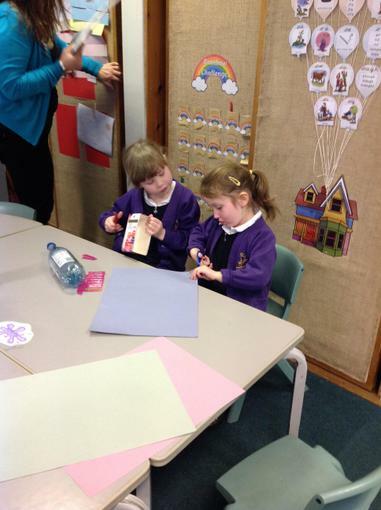 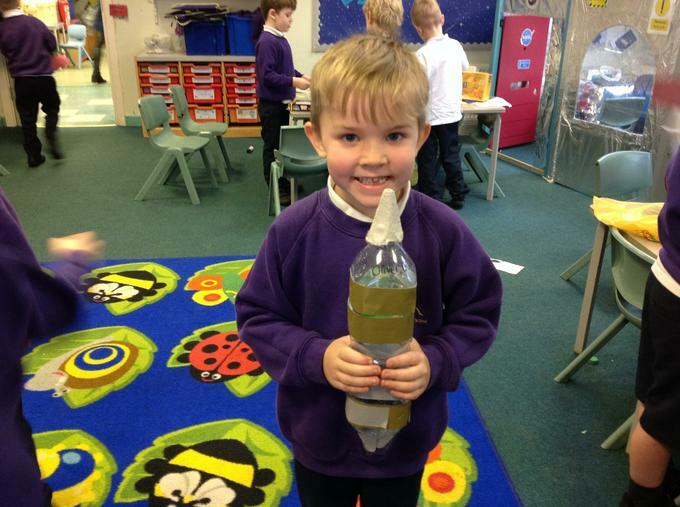 The children made rockets from various household objects. 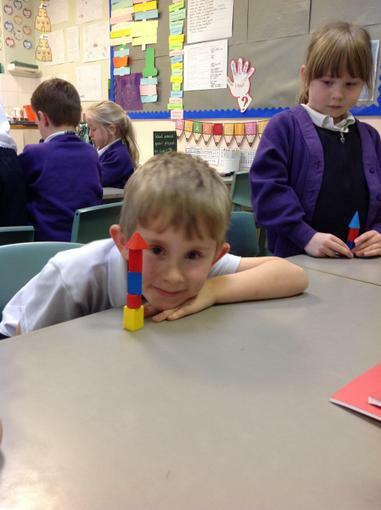 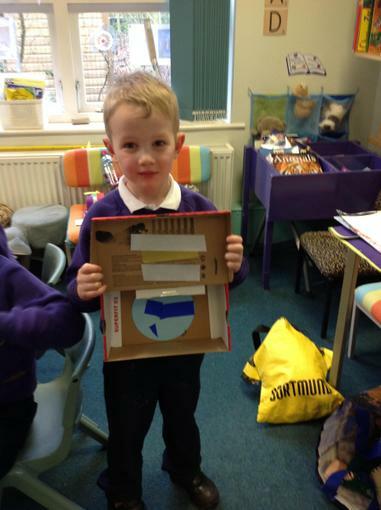 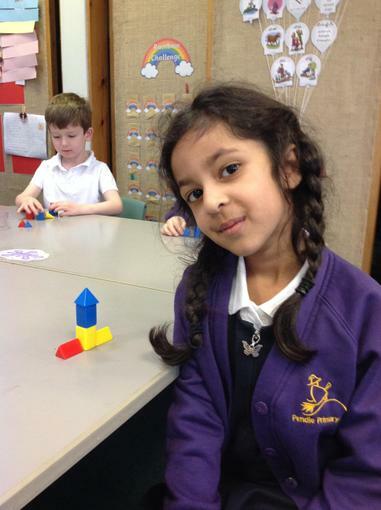 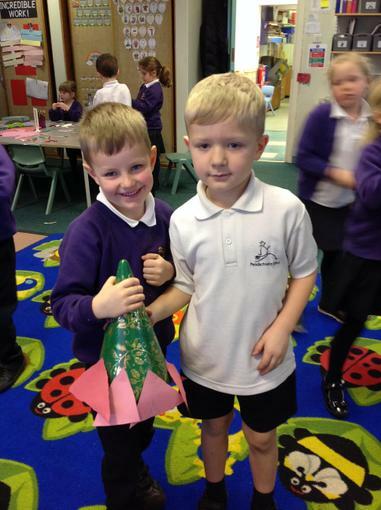 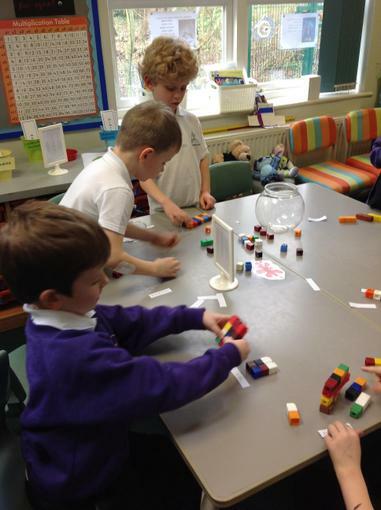 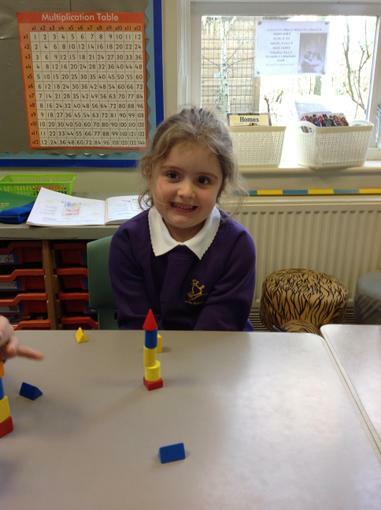 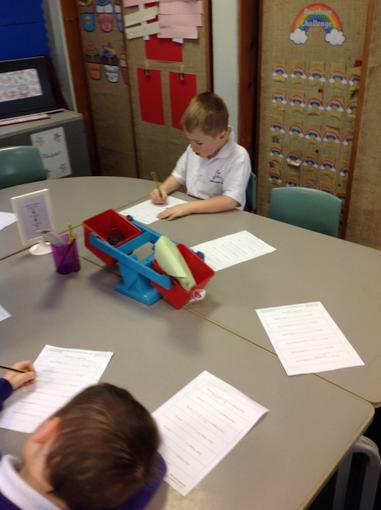 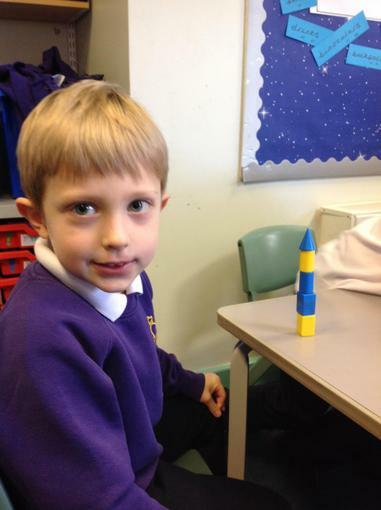 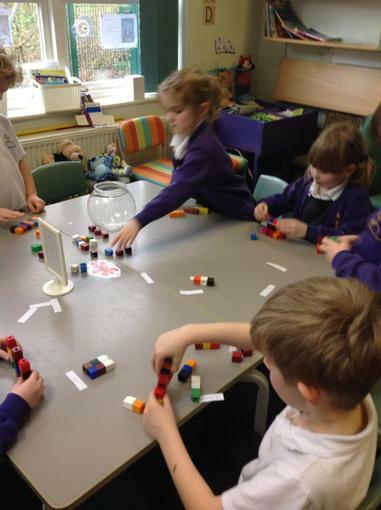 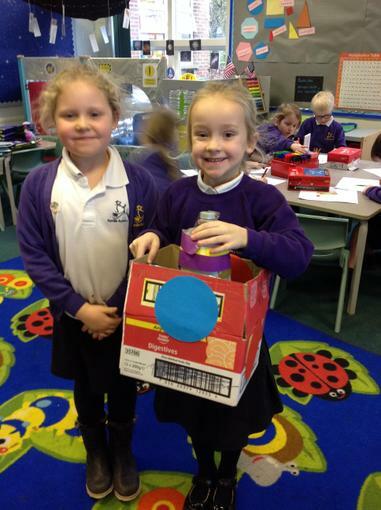 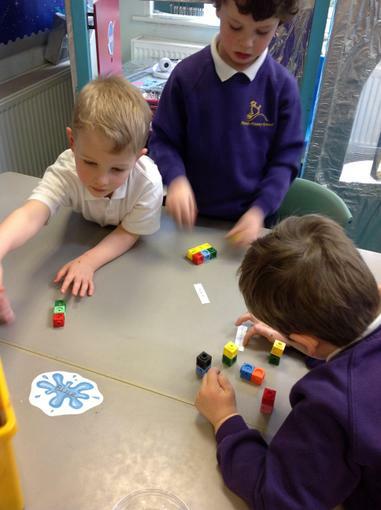 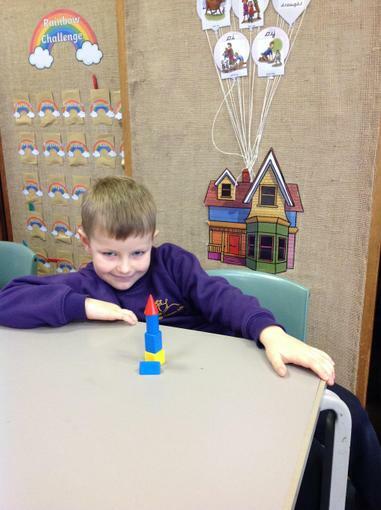 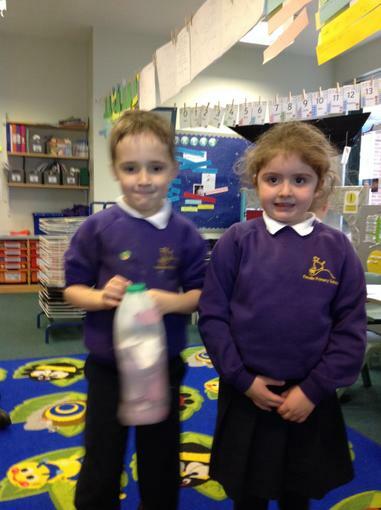 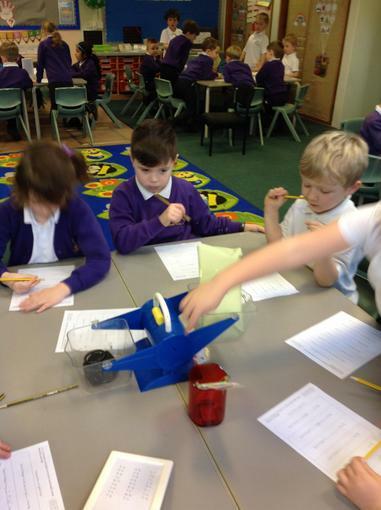 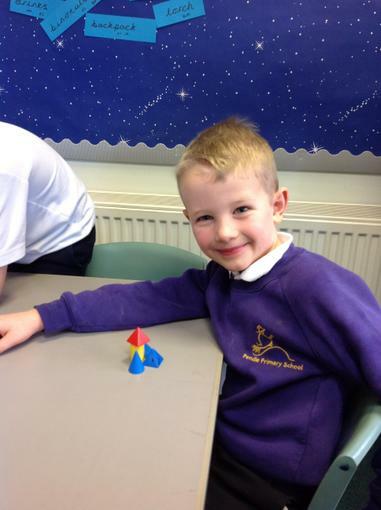 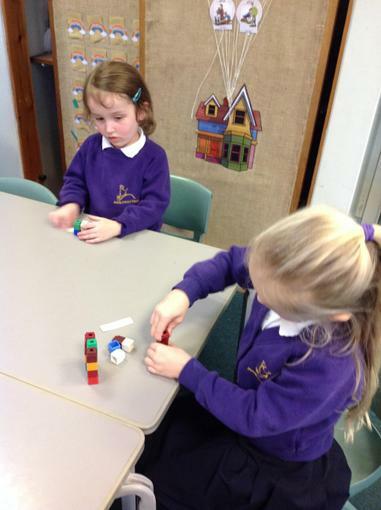 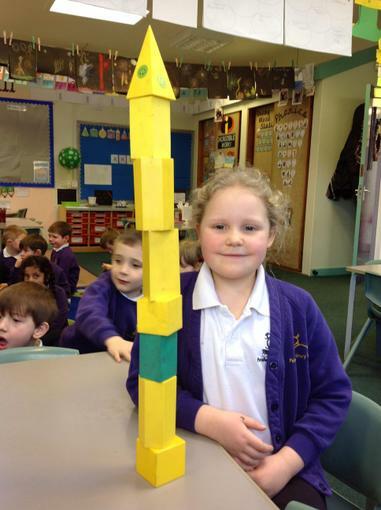 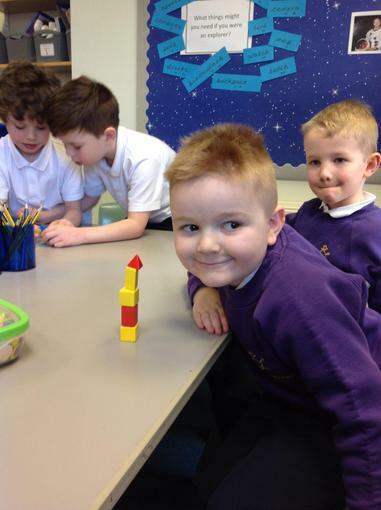 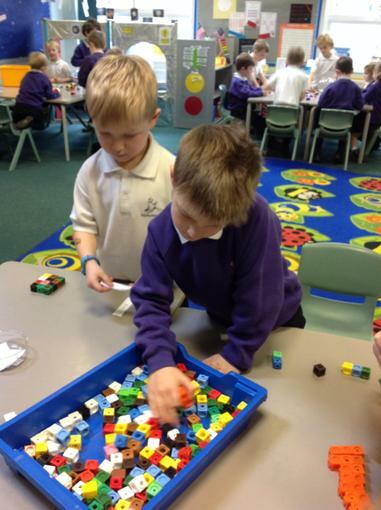 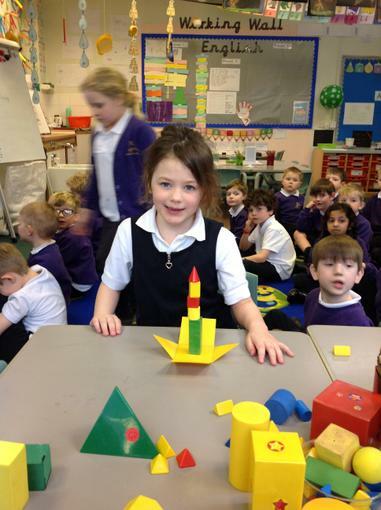 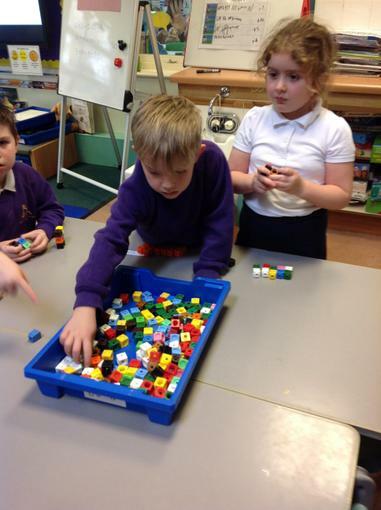 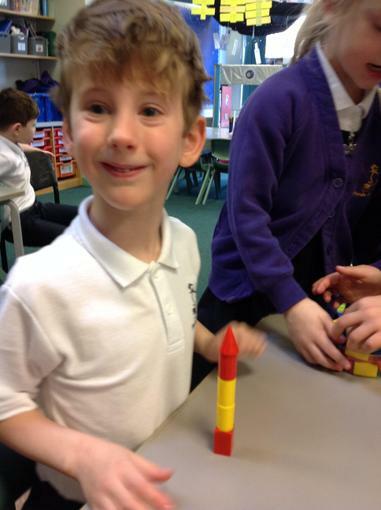 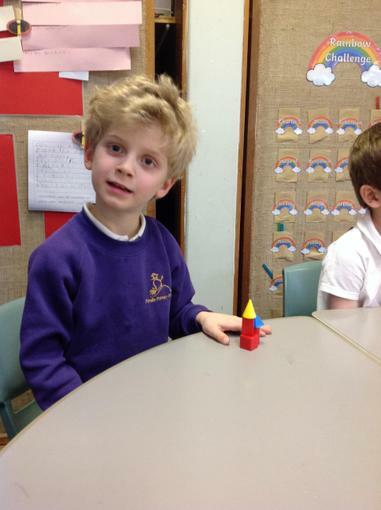 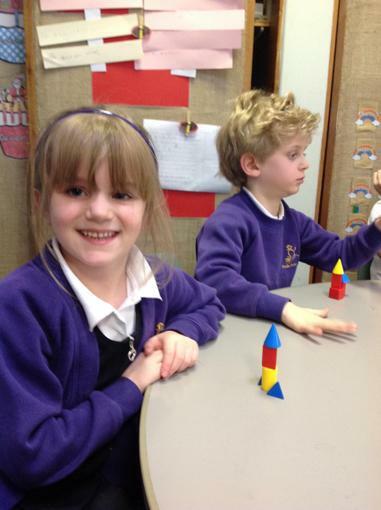 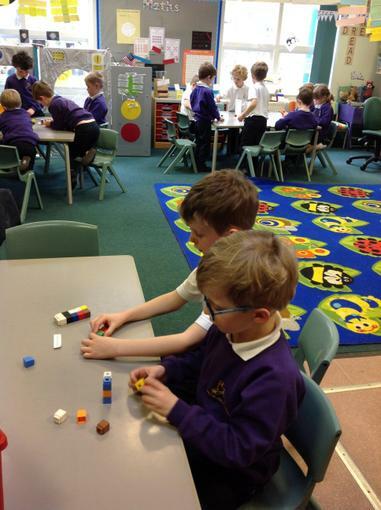 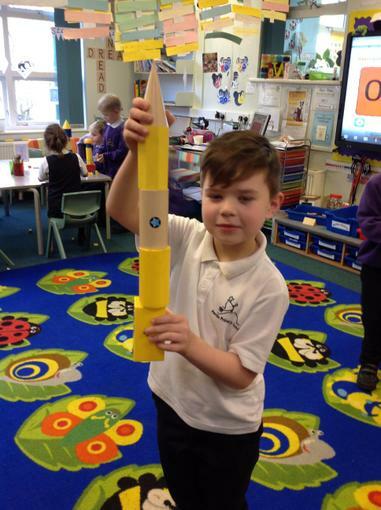 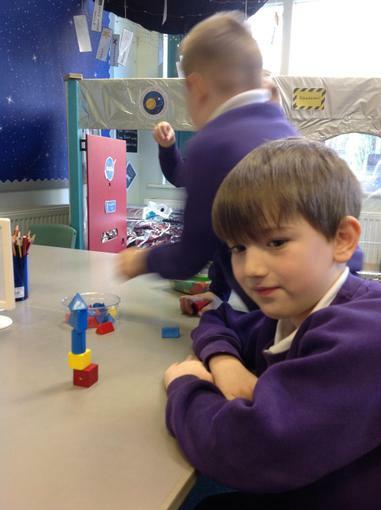 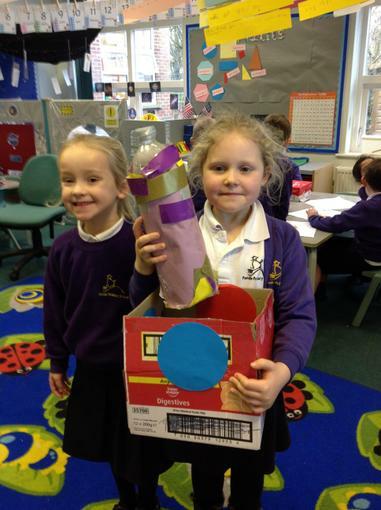 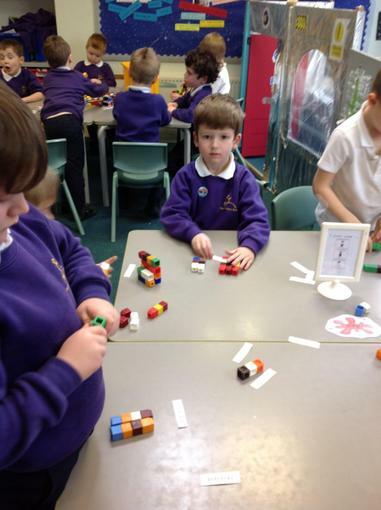 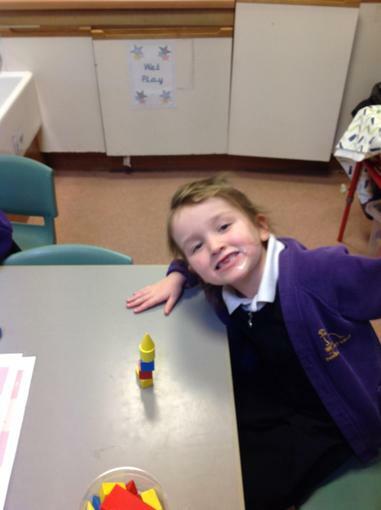 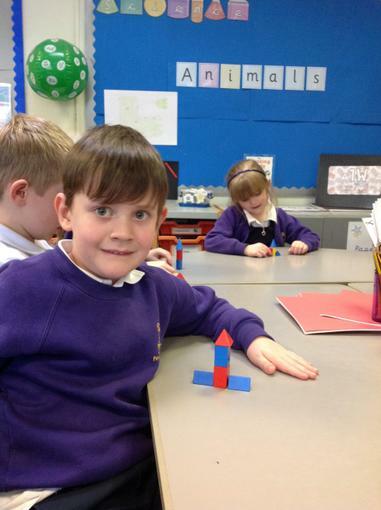 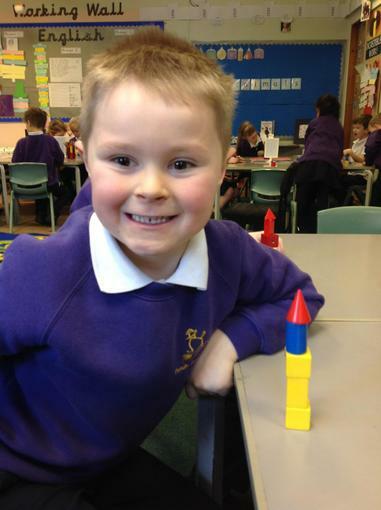 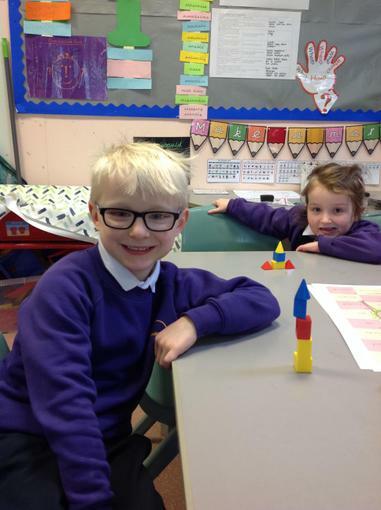 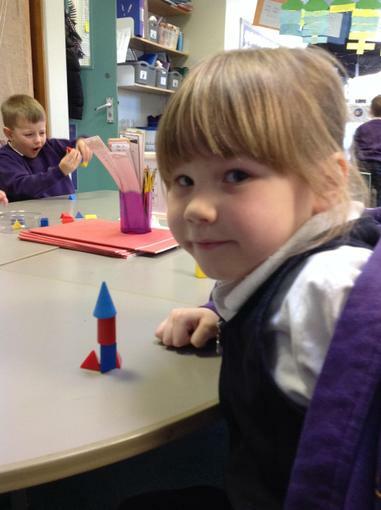 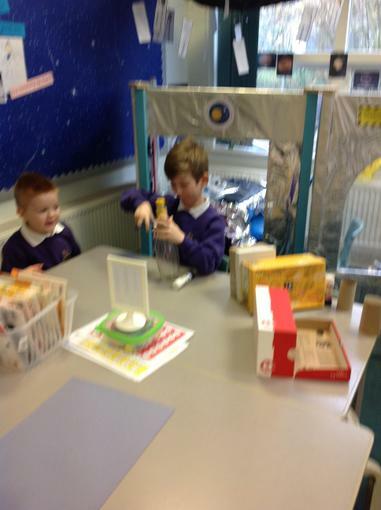 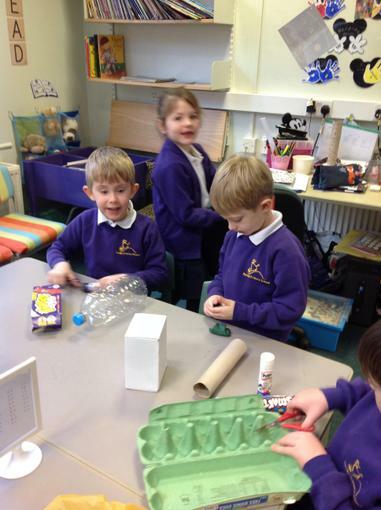 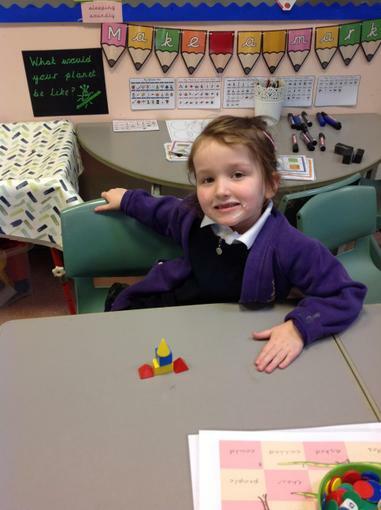 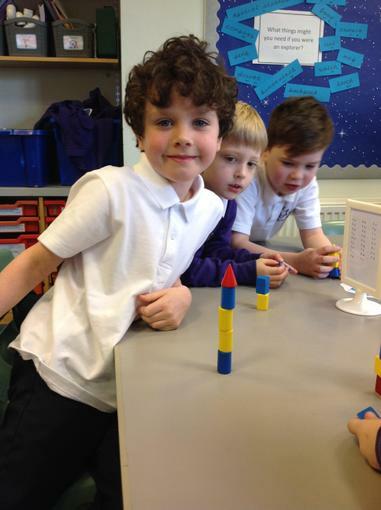 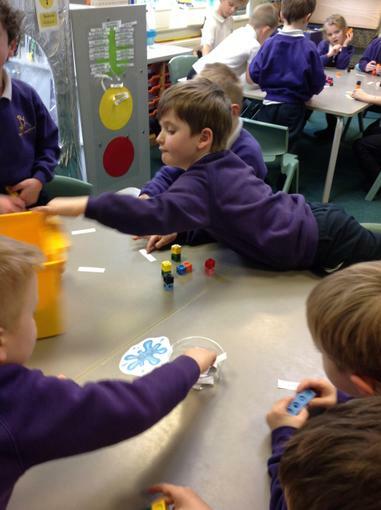 The children used a selection of 3D shapes to build a rocket. 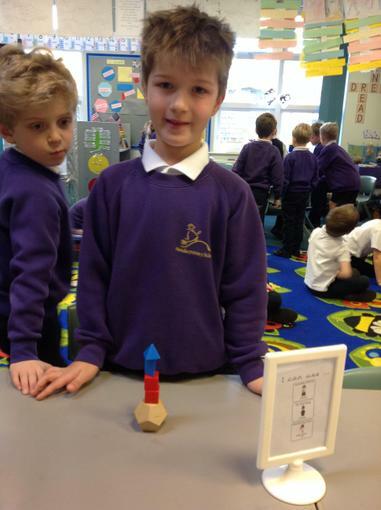 Can you name what shapes they have used? 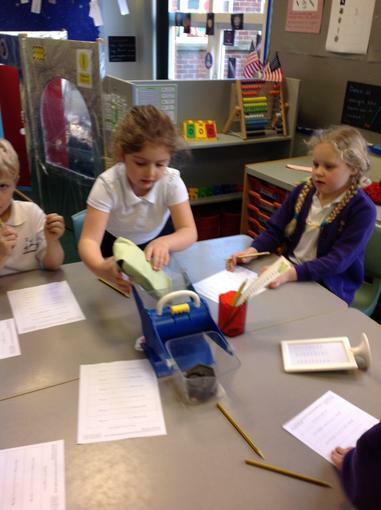 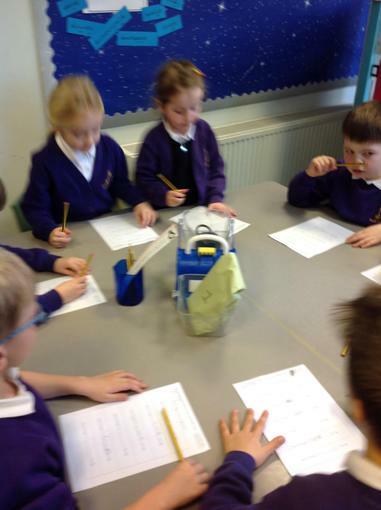 A selection of space packages arrived in our class, the children weighted them to find out if they were heavier or lighter than 1kg.